Dr. G. P. Li is a professor at the University of California, Irvine (UCI), with appointments in three departments: Electrical Engineering and Computer Science, Chemical Engineering and Materials Science, and Biomedical Engineering. He serves as director of California Institute for Telecommunications and Information Technology (Calit2) at UCI, one of the four University of California Gray Davis Institute of Science and Innovation. He also serves as director of the Integrated Nanosystems Research Facility in The Henry Samueli School of Engineering. 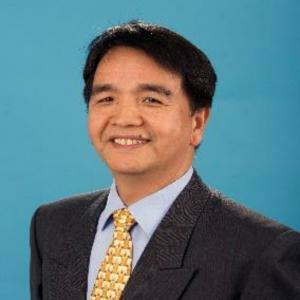 Prior to UCI, Li served as a research staff member and manager of the technology group at IBM’s T. J. Watson Research Center where he worked in the area of VLSI technology and led a research and development team to transfer the technology into the marketplace. In the late 1980s, he chaired a committee charged with defining IBM’s semiconductor technology roadmap beyond the year 2000. Li has published more than 380 research papers involving microelectronics , optoelectronic technologies, microwave circuit design, Micro-Electro-Mechanical Systems (MEMS) for communication and biomedical instrumentation applications, and bio-nano-IT technology. He has supervised more than 40 post-doc fellows and graduated 50 PhDs. Li holds 28 U.S. patents with additional 15 patents pending. He was one of four engineering professors honored at the UC Irvine Innovations ceremony in recognition of their significant contributions to the university as inventors and creators in 2005. His commitment to promoting innovation and entrepreneurship in high education has led his students in starting companies and currently 4 CEOs in public treated companies are attributed to his research group credit. Recently, he also directs TechPortal, a technology business incubator for promoting innovation and entrepreneurship housed at the Calit2@UCI, which supports and nurtures young companies and university researchers commercializing their technologies.17 spin-off companies from UCI have been incubated in TechPortal in the past 6 years. His current research interests focus on developing Internet of Things (from sensors to data analytics) for efficient energy utilization, advanced manufacturing, and e-health. (1). Interfaced with CKUAASC Student Alumni Members and provided suggestions for their future career development during CKUAASC hosted events. (2). Organized and hosted many events for Taiwan government official visits including Minister of Education, Minister of Science and Technology, University of President Associations in Taiwan, etc. (3). Gave numerous talks to Taiwan graduate student associations to promote innovation and entrepreneurship. (4). Hosted many professors and graduate students from Taiwan in Calit2 for extended stay in enriching their research and culture exchange. (1). Developed and provided solutions for assisting community non-profit organizations to provide health care for under privilege and low income families in Southern California. (2). Engaged in Southern California health foundation and senior centers for developing a community centric solution for healthy aging. (3). Developed and provided solutions for African nations in assistive education and technology innovation for promoting economic growth.